Virtualization is a game changing technology allowing us to improve efficiency, reduce costs and simplify our IT infrastructures. 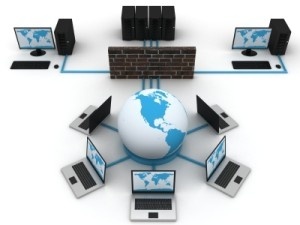 Virtualization has a variety of benefits among which are some of the following. Exploring your options with virutalization can be a powerful option. A study by Solarwinds showed nearly 80% of virualized environments are growing at a rate of 10-50 virtual machines a year. Another survey from VMWare showed that organizations that virtualize reduced their operating costs by 25% over those with a traditional physical environments. Virtualization & Cloud – Virtualization offers a path way to a centralized and flexible IT environment with both public and private cloud. Evolutionary IT will help you reduce your capital expenditures and improving the return on your IT investment. Strategic use of both cloud computing and virtualization can help drive the success of your organization while reducing your overall IT investment. Spend your time and money on building your business and not on managing technology headaches. So contact us today or give us a call toll free at 888.404.5074.